We are starting the second week of BM#54 and I will be making some Vegetarian Italian For Dinner ideas for the next three days. 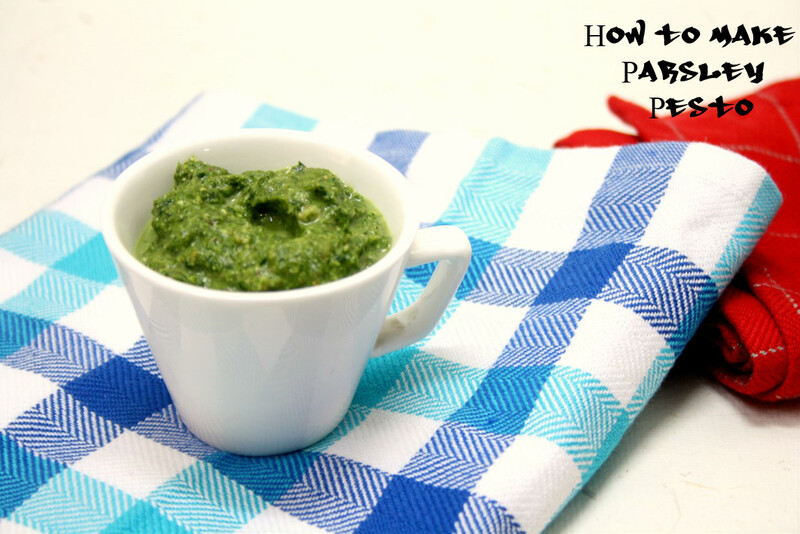 While going through my collection of recipes, I almost always ended up reading about Pesto and other similar sauces. I have always wanted to make Pesto myself. However since Basil is not so commonly accessible, I never really thought of making it myself. However having prepared most in Indian versions, I decided for this theme I would get my hands on fresh basil leaves and go ahead. I remembered Amma getting Parsley to make this salad. So I went to check out my luck. I was lucky enough to get both Parsley and Basil leaves however priced high for a small bunch at 25 Rs. Still I was happy that I could now make my own pesto. Pesto is a sauce from Italy, and traditionally consists of crushed garlic, basil, and European pine nuts blended with olive oil, Parmigiano Reggiano, and Fiore Sardo. The name actually might refer to pound. 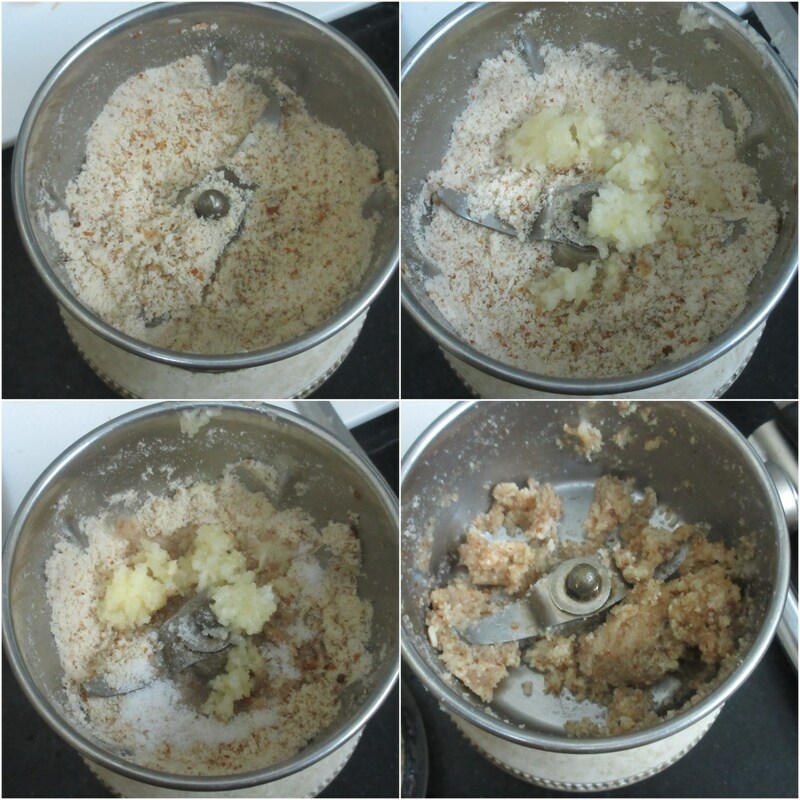 And the original method involved using mortar and pestle. Though I have my of pestle and mortar, I still went ahead and used my mixer. When the pine nuts are not available, one can use walnuts. Since the walnuts we get are at times bitter, I preferred the other alternated suggested, the almonds. Also any green leaves on grinding browns, so I decided to blanch them before grinding it. Blanch the parsley leaves and keep it aside. 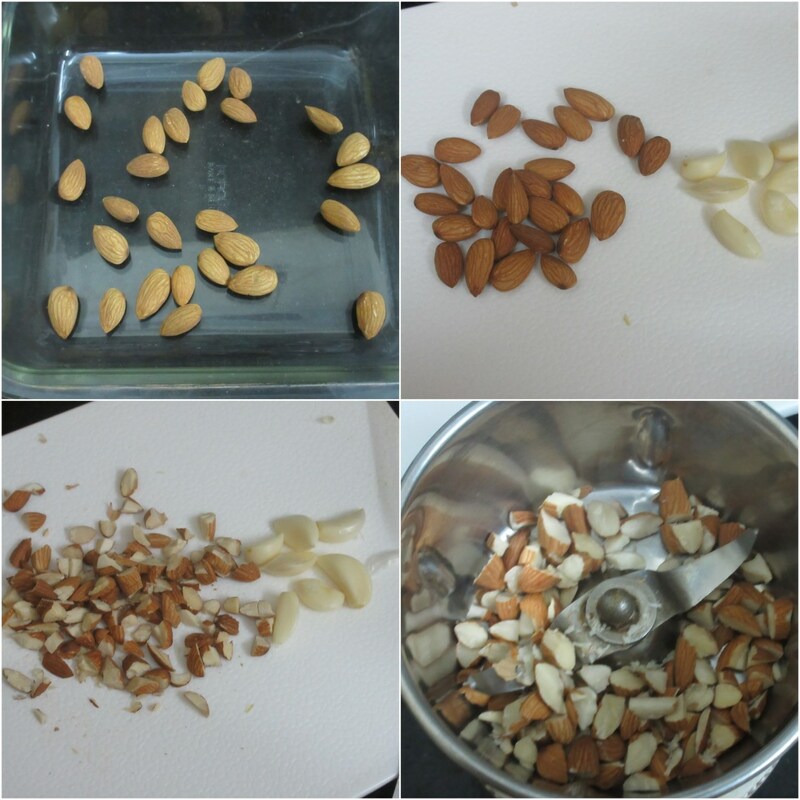 MW almonds for a minute, then chop it finely, and grind to a fine powder. Add crushed garlic and pulse it. Add olive oil and pulse again. Add salt and pepper as required, add parsley leaves and grind to an almost smooth paste. Refrigerate for 2 days or freeze in cubes for couple of months. 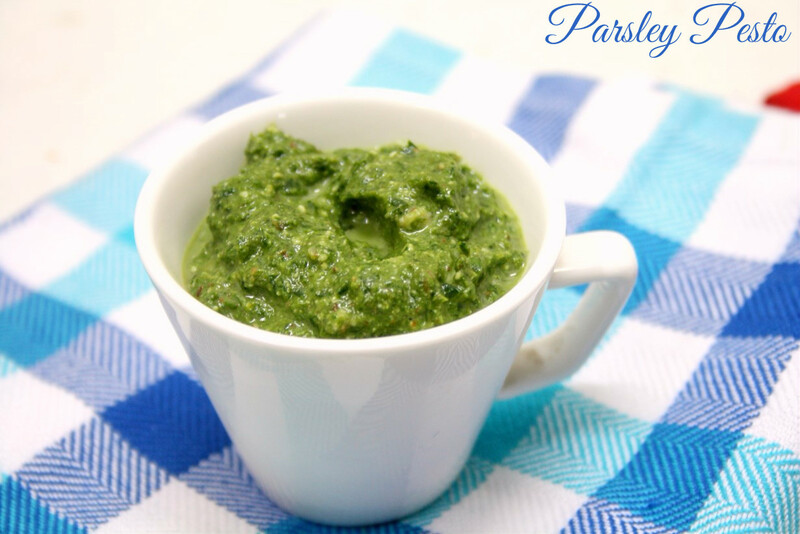 Never get bore of this greeny pesto, love it to the core..